The USTA Rhode Island, the state association of the sport’s national governing body of the United States Tennis Association is proud to be able to offer a $1,000.00 college scholarship in the name of Judy Brucks to one Male & one Female Rhode Island state high school tennis player. Your high school tennis coach and guidance counselor will need to sign off on your application for it to be processed. You must be entering either a two or four year college program in the Fall term. This scholarship is not solely based upon sport performance, academic performance or financial need. The primary focus of the USTA Scholarships is to help participants in USTA youth tennis programs and independent tennis programs receive college assistance and/or purchase college textbooks and materials. Your honest evaluation of the applicant will be of assistance to the Scholarship Selection Committee. This scholarship is guaranteed not to interfere with any NCAA rulings in regards to college sport participation, and all scholarship funds will be sent directly to the corresponding college or university’s student account. Scholarships will be awarded at each of the respective RIIL tennis banquets, the girl’s in November and the boy’s in June. Both your coach and your counselor need to give us their contact information and agree to be interviewed if need be by the state scholarship committee. The following factors are estimates of the candidate’s potential for success. Please give thought to the candidate’s ability in each area in which you have personal knowledge: Articulate, Self-starter, Exercises Good Judgment, Dependable, Strives for Excellence, Leader or Follower. a. Complete the Student form. 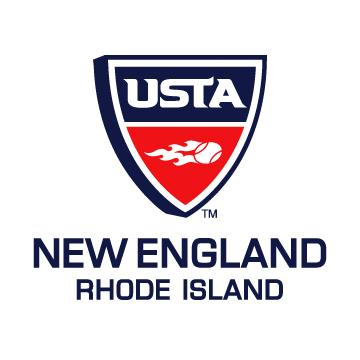 d. Mail application to the USTA Rhode Island in an envelope postmarked no later than October 15 for Girl’s and May 15 for Boy’s seasons. 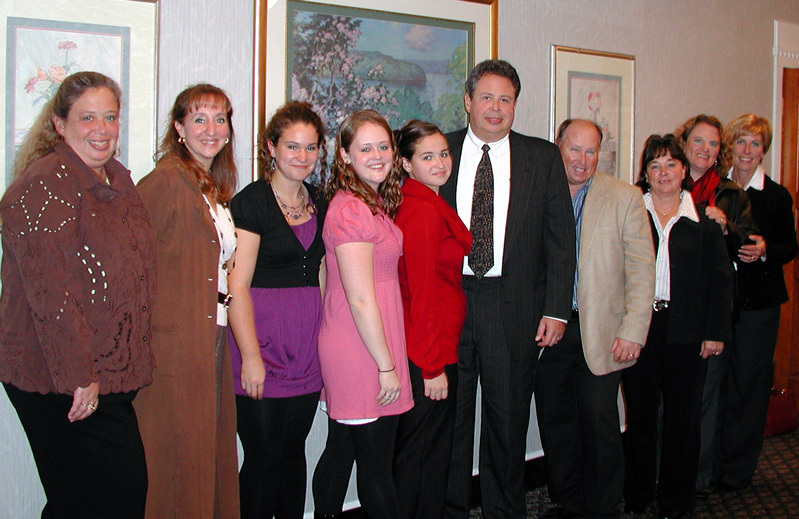 Friends and famliy came out November 12th to the RIIL Girls Tennis Banquet at the West Valley Inn to present the 1st Annual Judy Brucks Memorial Scholarship to Emily Pietrzak of Narragansett. Scholarship Donations are both Welcome and Appreciated! Judy Anne (Troll) Brucks, 51, of Taylor Road, Foxboro, died on Monday, November 3, 2008 at the Massachusetts General Hospital in Boston following a brief illness. She was the wife of Jonathan L. Brucks, founder and president of New Age Technologies, Inc. in Attleboro, to whom she was married on February 14, 1991. Born in Warwick, Rhode Island on July 25, 1957, she was the daughter of Joseph and Yolanda "Lonnie" (Ventura) Troll both of Hadley Massachusetts. She resided in Foxboro since 1991, previously resided in the West Roxbury section of Boston and was raised and educated in Hadley where she was a graduate of Hopkins Academy. Ms. Brucks received her Bachelor of Science degree in Nursing from the University of Rhode Island in 1979 and earned her Master of Science degree in Maternal-Child Health Nursing from Boston College in 1982. She had a successful career in the healthcare industry as a nurse practitioner with a focus on obstetrics-gynecology and gynecology oncology. She practiced at the Yale-New Haven Hospital in New Haven, Connecticut; Women and Infants' Hospital in Providence, Rhode Island; Harvard University in Boston and Brigham and Women's Hospital in Boston. In 1992 Ms. Brucks was the recipient of the prestigious National Certified Obstetrics and Gynecology Nurse Practitioner of the Year Award. Her academic appointments included lecturer from September 1990 to May 1995 at the Boston College School of Nursing; March 1985 until June 1988 as Clinical Instructor in Obstetrics and Gynecology at Brown University in Providence and as lecturer at the University of Rhode Island, School of Nursing from 1985 - 1988. She was the recipient of the Appreciation Award for "Dedication to Medical Training and Patient Care" from the graduating resident physicians at Women and Infants' Hospital in Providence in June 1985 and received an Academic Excellence Award from the University of Rhode Island, College of Nursing in 1979. Her professional memberships and activities were numerous and include: member of the Association of Women's Health, Obstetric and Neonatal Nurses (formerly the Nurses' Association of the American College of Obstetricians and Gynecologists); Society of Gynecologic Nurse Oncologists, Oncology Nursing Society, Association of Reproductive Health Professionals, Sigma Theta Tau¬ Delta Upsilon Chapter, the Massachusetts Nurses Association, the Health Promotion Team at Women and Infants', the Local Honor Society of Nursing at the University of Rhode Island and the Birth Control Counselor for Health Services at the University of Rhode Island. An accomplished author, she wrote or co-authored numerous publications including: A Practical Approach to Ovarian Cancer; Screening for Ovarian Cancer: The Preliminary Experience of a Familial Ovarian Cancer Center; Galactose Metabolism and Ovarian Function Among Women with a Family History of Ovarian Cancer; Ovarian Cancer: The Most Lethal Gynecologic Malignancy; Practical Techniques in Assessment and Management of Vulvo-Vaginal HPV; and an Update on Ovarian Cancer. As a medical professional, she was a certified Women's Health Care Nurse Practitioner since 1984 and completed the requirements for Nurse Practitioner Colposcopy Training through Planned Parenthood Federation of America and the University of Pennsylvania School of Nursing Center for Continuing Education in April 1992. Ms. Brucks was the co-Founder of Citizens for Environmental Protection, a grassroots organization involved in local environmental issues in 1994; served as Treasurer and member of the Board of Directors for Citizens for Environmental Protection, 1997-1998; served as Secretary and member of the Board of Directors of the Foxborough Newcomers Club, 1997-1998; member of the Board of Directors of King's Wood Montessori Preschool, 1997-1998; member and Secretary of the Massachusetts Cultural Council, Foxborough, 1999-2001; member of the Foxborough School Council, 1999-2007; member of the Board of Directors of the Monday Club, 2002 - present; and Rhode Island Tennis League Committee, 2007- present. Her passions extended well beyond her professional life and most notably encompassed gourmet cooking, quilting, reading, boating and most importantly competitive tennis. She was a phenomenal captain of six competitive tennis teams with two of the teams reaching the sectionals for the North East USTA and earned second place. Her love of tennis and her devotion to her team is best expressed in a quote by one of her teammates: "Before Judy, it was just tennis. But after she brought us all together and formed a team, it became a truly significant part of our lives." She will be remembered as intelligent, caring and generous person, who was dearly loved by her family and friends whom will miss her greatly. A leader in the community and the nucleus of her loving family, in addition to her husband of 17 years and her parents, she leaves two daughters: Kaitlyn E. Palmer of East Hampton, Massachusetts and Natalee J. Brucks at home in Foxboro; a sister: Diane Snow of The Villages, Florida and several extended family members, numerous friends and cherished colleagues.